So many of the items I use for Yarmouth Model Works are sourced from US based companies. And I'm not just talking about actual model parts. Boxes, plastic baggies, printer friendly labels, etc. I source these from the US because the items I want are not available from Canadian suppliers. The white mailer boxes that all my kits are shipped in are a basic box design, but that particular size is not available from any Canadian supplier and the closest size to it is twice the price. So I use a US packaging supplier for such items. The company I dealt with was recently bought out by another, the website changed and the phone numbers changed as well. The only phone number listed is a toll free number which doesn't work from Canada. So I had to email them to request the regular number. To the companies credit, they contacted me straight away and I could place my order. Now before you go and tell me I should have just ordered online, the websites of most US based companies will not process orders with a Canadian based credit card, or let me use a different shipping address, such as my Port Huron address. Frustrating but the company offered a work around. Avery labels from Staples are another matter. The size I require are available up here for laser jet printers only, which means I have to take them to the local Staples store to have them printed and the machines constantly mangle my expensive sheets of labels. The ink jet version of the same size is only available in the US. To order them from Staples I have to present myself in person at the store in Port Huron, (an hour's drive), pay for the items and then return in a few days when they are delivered. The Staples website would not process an order for a non US resident. Grrrrrrrr. Fortunately a friend who is sending me some stuff offered a work around. He will buy me the labels at his Staples store in Florida and mail them to me along with the other items he's sending to me. I realize that Canada and the USA are different countries with many different laws and customs, but surely in this era of NAFTA and other such hokum, we can do better. I've never had to work so hard to spend my money. With my options for activities severely restricted while the toe heals, I took care of very tedious but very important job today. Now the decals will fit into the kit boxes. 250 sheets sliced up with 3 cuts each, one sheet at a time. Hours of fun. I decided some time ago, that rather than try to create a multitude of kits with the variety of slogans that the ATSF used on these cars, I would include one decal sheet that covered off all options. Modelers will be able to use surplus decals for other ATSF projects. 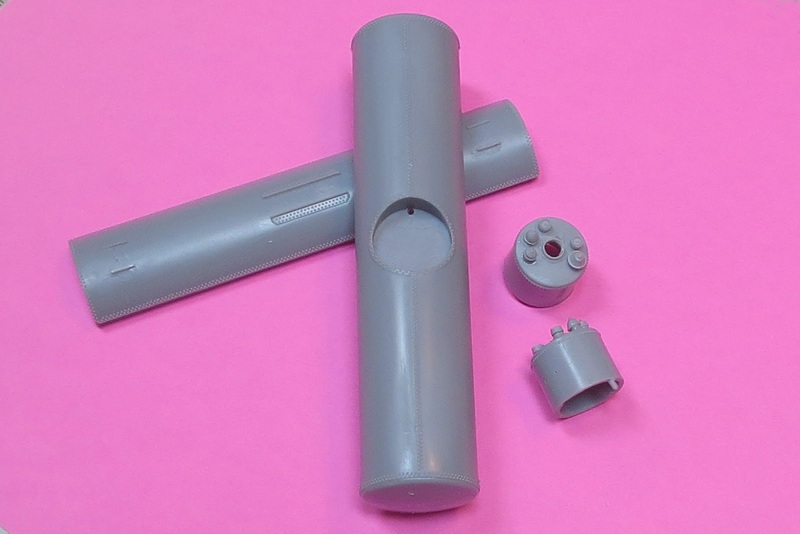 The ATSF kit will be offered as 3 different kits. 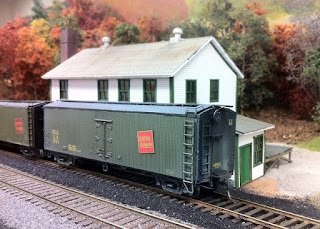 I'm hoping to have kits in time for the St Louis RPM, otherwise it'll be Naperville. The jungle drums have been beating and it seems to be confirmed. The Scalecoat line of model paints has been bought and will soon be back in production. Shawn Cavaretta of Minuteman Scale Models of Pepperell, Mass. has purchased the prodcut line and is in the process of hauling it home and getting it setup. I amd greatly relieved at this news. While I had started to work up alternative options, it would seem, at least for now, I can maintain the course I'm on. I had the bunion on my right foot removed this morning. The worst part was the Novocaine injections into the area around the toe. 5 in total, and man that hurt. A simple incision along the toe and a few cuts with the bone saw and sew her back up closed. About an hour all told. The Podiatrists were charming and witty and helped to put me at ease. Sure beats waiting 1.5 years for an orthopidic surgeon. I'll be immobile for almost 2 weeks and won't be driving for at least 3. Have to make damn sure nothing swells. If I want to make it to the St Loius RPM, I have to behave myself. Bill Welch as been hard at it now trying to finish up the pilot model for the Semet-Solvay tank car project. This project has been underway for over 2 years now. I guess you can't rush genius. Have a look at these images and you can decide. All Bill has to do now is locate the errant set of decals I sent him way back when and the car can be completed. I bet it's with the missing platform etchings I sent him. If all goes well, this kit will be available for sale this fall at the RPM in Naperville. We don't store spare tubes above the ceiling tiles. Another little treat left to me by the previous owners. Spare florescent tubes stored above the drop ceiling tiles. I was in the process of upgrading all the fixtures to new, efficient T8 tubes and replacing the 50 year old ceiling tiles. While removing an old tile, I was awarded with the singular sound of a tube rolling and it made it to the floor. More annoying then anything else, but why do people do this stuff? It's plain dumb. At any rate the ceiling and lighting fixture job is the first step in room prep for the upcoming layout. All the fixtures will be replaced with new T8s and all the tiles will be replaced as well. Many tiles were damaged by darts, kids, pool cues, etc. A couple of extra fixtures need to be added to even out the lighting in what will be the layout space. As it turns out it's good thing I decided to address the fixtures. The existing fixtures are not original, but appear to have been upgraded in the '70s. I say the '70's because many of the fixtures are connected to octagon boxes using armoured BX cable that is in fact aluminum conductors. Copper and aluminum, as we know now, should never mix. Fires can happen. So I'll be taking advantage of this opportunity to make things a tad safer. Good thing the insurance company doesn't know about this. Shhhhhhh. Weaver Models is announcing the closing of its manufacturing business at the end of June after 50 years. Proud to have been manufacturing in the USA. I would like to take this opportunity to thank all of our dealers, customers, and the many great friends I've made throughout the years for making our business a success. I would also like to thank our dedicated employees, some of whom have been with me for more than 20 years, also for making our business a success. I have been affiliated with Weaver Models since 1970, when it was better known as Quality Craft Models. I acquired Weaver Models in 1994. We will be having a sale at our place of business, selling various items including memorabilia on a cash and carry basis starting June 29th. Among other things, Weaver was the manufacturer of Scalecoat paint. The paint that had become my personal favorite for years now. Sprays on lovely. Drys to a gloss finish, making decal application a breeze. Since it's solvent based paint it sticks to resin like baby poo to a blanket. And there's nothing sweeter than Scalecoat on brass. Baked on it's awesome! I've just placed a large order to hold me for awhile, and hopefully the line gets purchased by somebody and carries on. I'm trying like mad to not transition to acrylics. Some people swear by them, I swear at them. For the majority of my work I would prefer to stick with solvent based paints. I know how to use them safely and would prefer to continue to do so. If the Scalecoat line does disappear, there are alternatives. Tru-Color has an extensive line of solvent based paints, which I'll use if pushed to, and Testors still makes enamel paints for the plastic modelers. Lot's of colours there to chose from. The sky isn't falling, but times they are a changing. And a big Thank you to Weaver Models for all the years of delightful product. I just received an amazing gift. It's a labour of love by Carl Riff of Hamilton, Ont. Carl has created the "The Wabash Canadian Diary" in which he has gleaned tidbits of history from1872 through to 1943 from various newspapers and other sources. It's an impressive tome. Some 500 pages of really neat history. I now have a whole new appreciation of the operation that once was running across Southwestern Ontario. Lots of wrecks in the early days. On average a collision or derailment ever 6 months. A couple of circus trains a year for the first few decades. Feb 20, 1926 The Peek-Aboo Burlesque Troupe traveled over the Wabash. Silk trains! A couple a year headed for New York. Aug 26, 1926 The Wabash will handle a special 13 car silk train. Consignment worth several million dollars. Aug 30, 1926 Another silk train of 14 cars was handled over the Wabash. 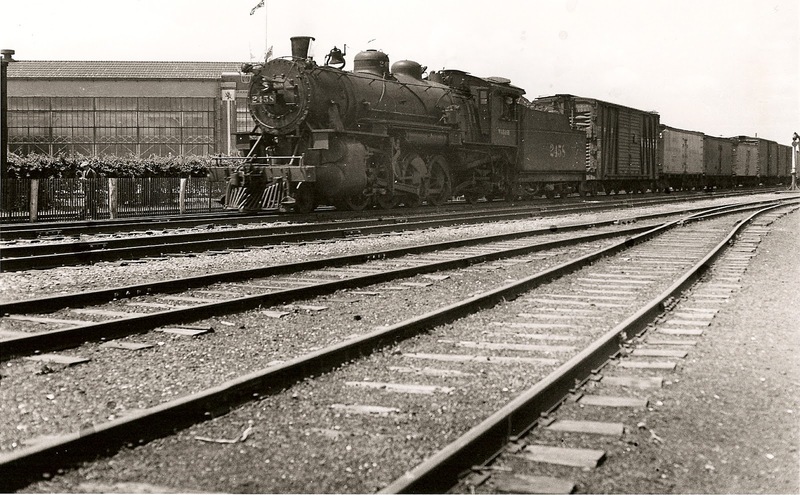 Mar 13, 1929 The Wabash ran 50 trains, 2609 cars. Sept 16, 1929 A Wabash record! The longest freight train ever handled on the local division of the Wabash left the yards Monday morning for Windsor hauled by engine #2458. The train was 122 cars and over a mile in length. Apr 1 1935 There are plans to alter the local run between St Thomas and Jarvis daily, so the plan is to build a wye at Jarvis. Apr 26, 1935 The new Jarvis run to start Monday and operate daily. The Jarvis to Fort Erie run will be made on alternate days. Jan 29, 1937 The biggest day on the Wabash in 6 years. There were 41 trains, 1780 cars, 86 carloads of Fords and train #91 ran in 8 sections. This is an enormous resource and it will take me quite some time to go through it all. I've already had to rethink many things that I thought were happening on this line, and no doubt there will be more questions raised as new facts emerge. I can't thank Carl enough for his generosity in sharing this with me. The only down side is that I'm sorely tempted to model the roaring '20s now. Hopefully I'll get over that. I build a lot of freight cars for my customers. Right now the guesstimate is almost 2000 cars. I consider myself very lucky to be able to generate an income from such a pleasant and rewarding activity. While I get many thanks and compliments, and the good words are always appreciated, the one thing I don't get a lot of is pictures of my work in context. That is on the rails in revenue service. Which is why I was so pleased today to get this. I built this Funaro & Camerlengo milk car for Marty McGuirk and handed it to him this weekend past at the NE RPM in Conneticut. Marty was gracious enough to send me this photo of the car on his layout. It's good for my soul to see my work at work.